The owner of the building has gone to great expense to have the building not be a landmark, going so far as to hire say-anything historians to argue that this building is unworthy of landmark designation. For a complete analysis of why 184 Kent Avenue is and should be a landmark, click here (warning: pdf). For the Cliff Notes version, read on. Cass Gilbert was one of the premier American architects of his era. In addition to the Woolworth Building, Gilbert designed the United State Supreme Court building (Washington, DC, 1935) and Minnesota State Capitol (St. Paul, 1905). 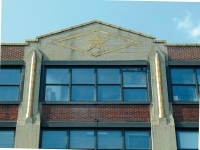 Gilbert’s other New York City projects include the Gothic-revival style West Street Building (90 West Street), the Beaux-Arts style United States Custom House (now Museum of the American Indian) at Bowling Green, and the Brooklyn Army Terminal in Sunset Park. The Austin, Nichols & Company Warehouse is an important bridge between the historicist architectural styles of the 19th and early-20th centuries and the modernist movement which was just taking shape in Europe and America at this time. Unlike many other industrial buildings of its era, Austin Nichols derives its monumentality from its minimalist design – relying on its strong sculptural form rather than applied ornament for its architectural expression. This absence of applied ornament would become a hallmark of the modern movement in architecture. Constructed to house a world-class grocery distribution concern, the Austin Nichols & Company Warehouse is one of the few purpose-built industrial buildings in the city to be designed by a prominent architect. The building was cited in period literature for its design and for its engineering accomplishments. 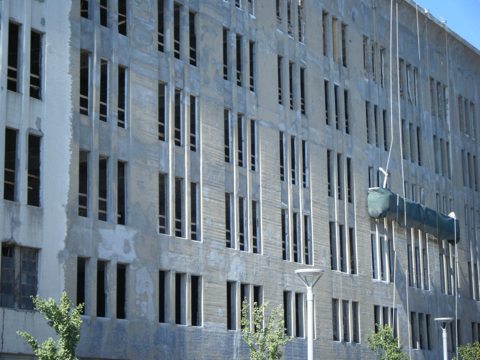 It is also unique in that it is an early example of the use of poured-in-place concrete to create the form (as opposed to just the structure) of a building. Austin Nichols was half a century ahead of Eero Saarinen’s TWA Terminal (1963, bottom right) and Frank Lloyd Wright’s Guggenheim Museum (1957) – two masterpieces of poured-in-place concrete architecture in New York. It was also years ahead of other Landmark concrete structures such as the Municipal Asphalt Plant (Kahn & Jacobs, 1940, middle right). The building itself is well suited for adaptive use. It has large windows ands high ceilings, which combine to create dramatic interior spaces with breathtaking river views. Many of Cass Gilbert’s landmark buildings are currently being converted to residential use (including 90 West Street and the Woolworth building); designation of this building would not prevent a conversion to residential use. 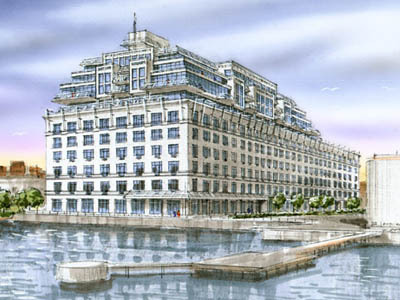 Nor would designation hinder the rezoning or the City’s plans for the waterfront. 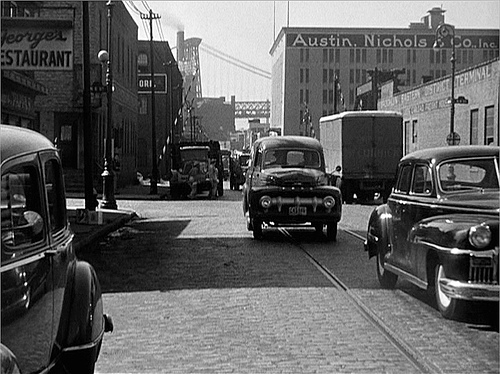 Still from "Pickup on South Street"
I'm Not Sayin' just posted this fantastic picture of Kent Avenue from the 1953 movie Pickup on South Street. The view is looking south from just past North 6th Street towards the (un)landmark Austin, Nichols & Co. Warehouse. The former cooperage, still standing on Kent between North 4th and North 5th, is visible on the left center of the photo. And to answer INSIJS's question, George's Restaurant on the left appears to be in the building that now houses a marble works, two buildings north of North 6th Street. The brick building to the right (north of ANCW) was demolished some time ago, replaced by the corrugated shacks that served the Nekboh waste transfer station. Via the Times City Desk, a report about an LPC action to force the owner of the landmarked Windermere apartments on the west side to make repairs to the building. The Windermere was landmarked in 2005, over the vociferous opposition of the building's owner. In order to bolster their case against landmarking, the owners hired attorney and author Andrew Alpern to testify against the designation. 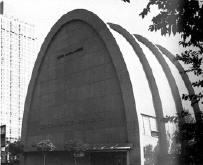 Alpern's "expert" testimony didn't win the day, and the building was landmarked. Alpern, who has written books on luxury apartments in Manhattan, was busy that year - he was also one of the hired guns brought out to offer "expert" opinion against the designation of the Austin, Nichols & Co. Warehouse. Landmarks didn't listen to him then, either. 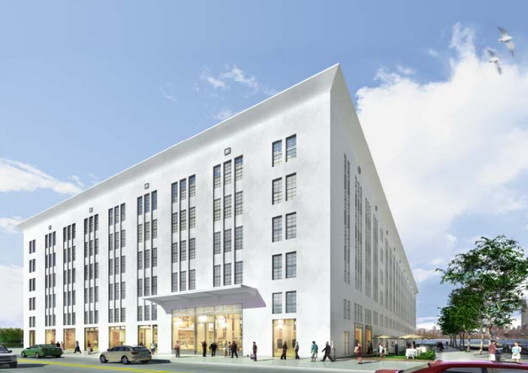 Via Curbed, a new rendering has surfaced showing the proposed makeover of the Austin, Nichols & Co. building (184 Kent Avenue). The rendering was issued in connection with the marketing of the ground-floor retail space (an impressive 17,850 sf, with an option for an additional 8,600 sf of mezzanine space). Astute readers will notice that rendering shows none of the atrocities previously proposed for the building - lido deck rooftop additions, picture windows, shaved cornices, etc. Curbed attributes this to "rumors" of a big preservation tax credit, and, in fact, that is the case (you can look it up). Nice to see that the new owner is preserving the building - we've thought all along that is was a wonderful building. 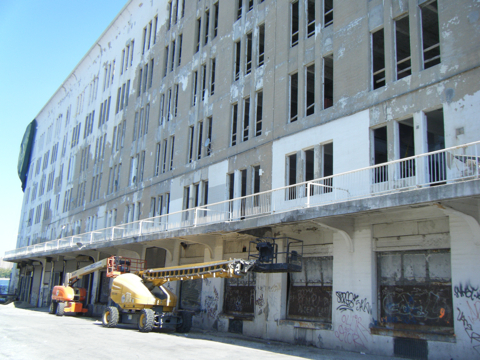 Last week we mentioned the cleaning and paint stripping at the Austin Nichols building. Herewith, some photos of the same. It may not be apparent in the photos, but in person you can see the horizontal marks of the boards that were used for the formwork. As we said last week, the underlying reinforced concrete appears to be in very good condition for its age - a testament to Gilbert's design and Turner's construction (remember too, that this entire building was constructed in less than a year). 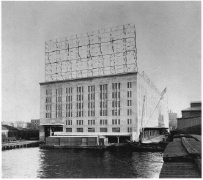 North facade (facing Northside Piers). 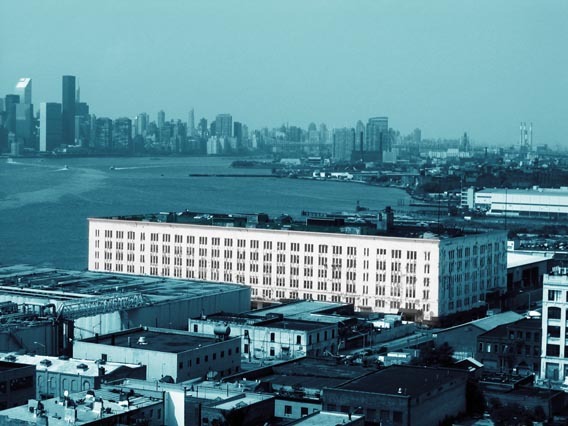 After years of battles between preservationists and the New York City Council, the old Austin, Nichols & Company Warehouse in Williamsburg is now formally protected thanks to the donation of a historic-preservation easement to the Trust for Architectural Easements. So does that does mean we can (re)landmark it now? In today's City section, Jake Mooney writes about the irony of the many twists and turns in the Austin Nichols (184 Kent) story. As it turns out, the building is historically significant. And for a building that was held up as a "piece of trash" by Councilman Simcha Felder, it sure is looking good. 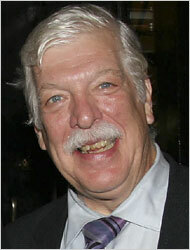 Also, contra Dan Reardon, 184 Kent was never in any danger of winding up "in a landfill somewhere". In a City where FAR is king, an overbuilt building will always be "saved". The issue with Austin Nichols was that the original plan to save it was a fate worse than demolition. โบนัส 100 % กีฬาAustin Nichols Protected?